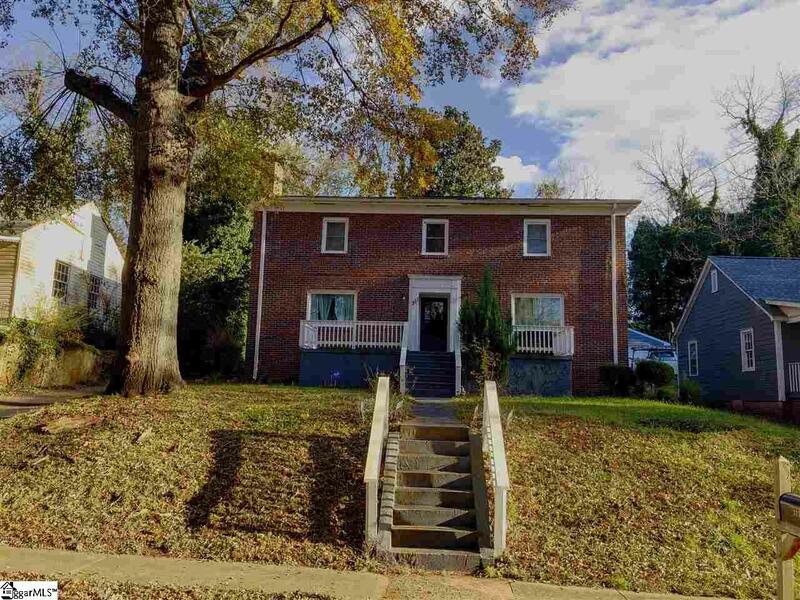 Own a piece of history in downtown Spartanburg! 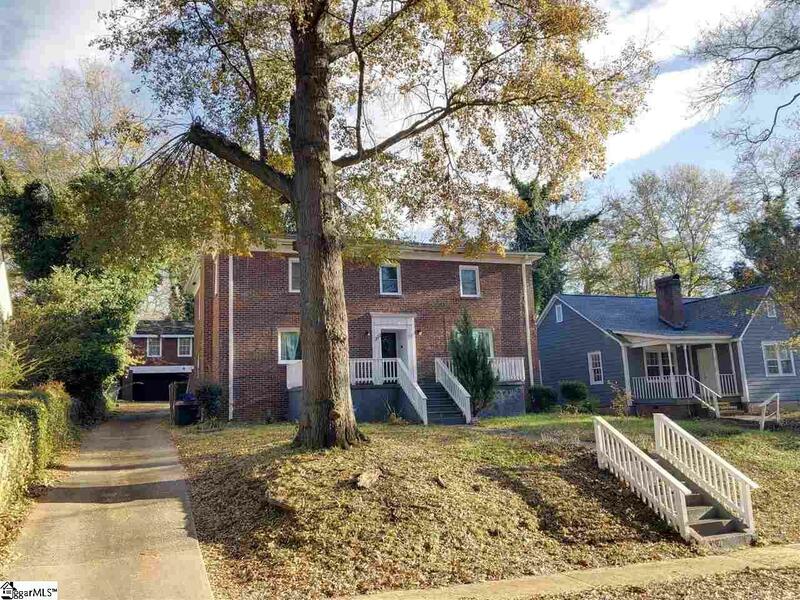 Originally famous local radio personality "Farmer Gray's" home, this spacious, all brick home near Hampton Avenue is a hidden gem just across the street from S. Converse Street Park. Priced under appraisal, a small amount of TLC will bring this home back to its glory days. When you first enter, your eyes are drawn to the grand staircase and hardwood floors throughout. The beautiful arched entry into the spacious living room invites you in, beckoning you for tea in front of the marble fireplace as you step back in time. Another archway leads into the formal dining room with built-in cabinets in each corner, and a swinging wooden door into the kitchen. You can almost hear the festive dinners with families and friends gathered around the table! The kitchen has the most potential to wow--a simple palette where design and inspiration could flourish. And just through the kitchen door are afternoons full of imagination from reading the books that will fill the bookcases flanking each side of the door in the den. 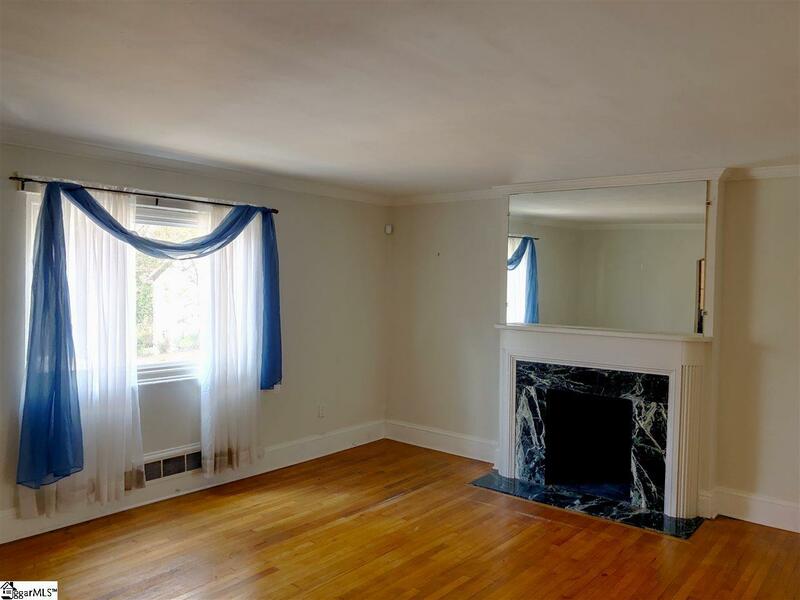 On this main level you'll also find the addition of the closet laundry room and the guest half bath. Walk up the staircase to the double closet at the top, cedar-constructed like the many closets throughout this amazing home. To the right is the master suite with two closets--one simple one with cedar shelves and backing, and the LARGE walk-in with ample room. The creative master bath features a 1940's style in-floor corner tub and beautiful vintage tile and fixtures. The hardwood hallway leads to bedrooms two and three on the eastern side, and the hallway bath with built-in storage and more vintage tile. The fourth, quaint bedroom could become the perfect nursery or office, with a closet and original laundry shoot to the basement. 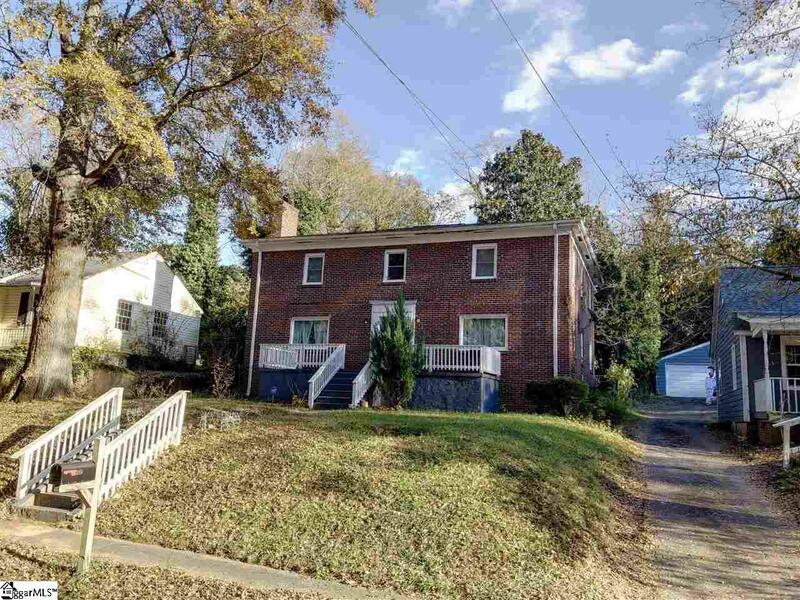 The detached two-car garage with upstairs living space offer additional creative remodeling and use. This home's quick return to grandeur is limited only by your imagination! Less than one mile to Spartanburg's vibrant downtown and to award-winning Pine Street Elementary, 311 Ridgewood could be the perfect opportunity for those looking for more than just house.